Place the graham cracker on the paper plate. Cut two smaller rectangles from another graham cracker for sleeves. Put these on either side of the larger rectangle making a coat shape. Frost the coat. 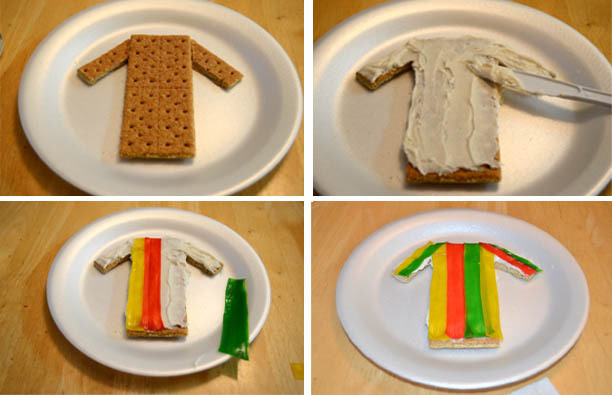 Use the fruit strips to make an ornamental coat like Jacob gave Joseph. 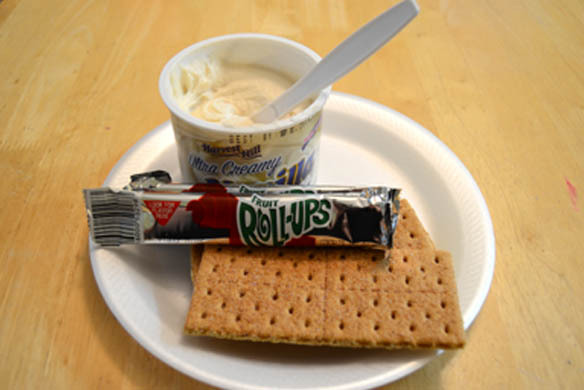 This snack is from Faith Studios.